This virtual special issue is dedicated to contemporary studies exploring a Japan beyond the country’s metropolitan areas. 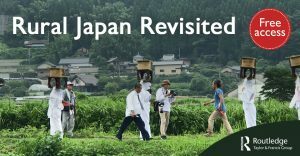 Over the past decades, rural Japan nearly vanished from the Western research agenda, as urban Japan had come to dominate the attention of most social scientists studying contemporary Japan. Particularly the cityscape of Tokyo, the epitome of the Asian mega-city, has shaped the popular cultural imagination of Japan from abroad to an extent that the countryside, if seen at all, acquires all qualities of a museum or cultural repository of the past. Yet it should not be forgotten that millions of Japanese continue to live in quite different social spaces, such as hamlets, villages, or rural towns in mountainous and coastal areas. Even though urbanization, consumption and media usage have left their imprint on everyday life, social values and behavior rules in even the most remote part of the country, there is ample reason to take the urban-rural divide as a meaningful line of distinction between the two structurally different and inherently distinct spheres of city and countryside. 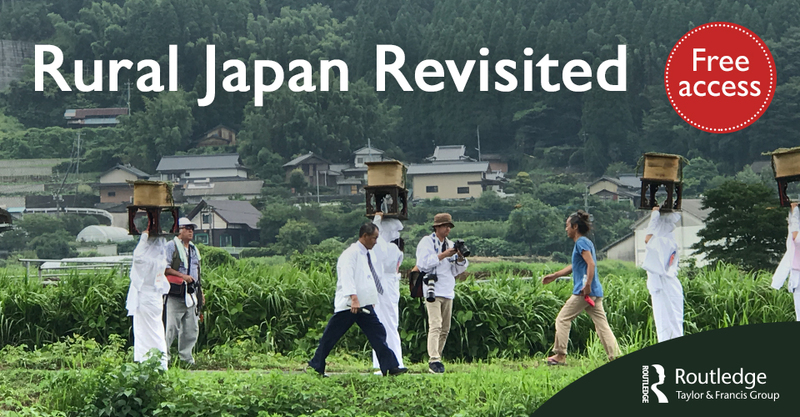 This virtual special issue has been compiled as a reminder of the significance that life and living in regional Japan is having for an adequate understanding of contemporary Japan, the changing faces of the “rural imaginary” (Schnell 2005) and the plurality of lifeways in late-modern society. This article deals with selected contemporary art projects that have involved the collaboration of heterogeneous actors in the framework of the Echigo-Tsumari Art Triennial, which started in 2000 in southern Niigata Prefecture. Originally initiated as a revitalization plan to tackle depopulation and obsolescence in this vast rural area, the triennal has been envisaged and implemented by the Tokyo-based commercial gallery Art Front Gallery (AFG) in cooperation with municipal and prefectural agencies. I will examine how the collaboration between local residents, non-local artist(s), and volunteers has evolved in three projects that were all carried out in mountain villages. The first project entitled “Ubusuna no Ie” was initiated by a Tokyo-based editor and his staff for the 2006 festival, involving the restoration of an abandoned house, which now serves as a space to exhibit pottery. As a result of the project, the village women have started a restaurant in the house, which has been an enormous success, attracting hundreds of visitors per day in August 2009. The second project implemented in 2006 involved the cooperation of a British artist group called Grizedale Arts with the locals in a secluded marginal village called Toge in order to find ways to revitalize the village. The third ongoing artwork is concerned with promoting a brand of traditional Japanese paper (washi) by combining it with contemporary design and involves the cooperation between the vernacular washi production site and a Yokohama-based artist. Introducing a model to examine the development of kyodo [literally: “working together”] by defining various stages of cooperation, the key issues I intend to explore are as follows: (1) What are the main factors that influence the implementation of the project, the intensity of cooperation, and its success? (2) What stages do we observe in the individual cases discussed here?